Traumatic brain injuries sustained by more than 200,000 U.S. troops may be fueling the military’s suicide crisis, according to a letter co-signed by 53 congressional members who are seeking additional data to investigate the new theory. [Note: Really? This a new theory?] Read full article. It may not seem surprising that a sport that involves gigantic men slamming into one another goes hand-in-hand with head injury. But in American football, the severity of the life-long consequences has gone under appreciated until recently. And there are other sports that should be concerned. Soccer players who head the ball could be injuring their brains, as well, according to a recent paper in PLoS ONE… Read full article. Omega-3 oils are known to be beneficial when it comes to joint and cardiovascular health, and now scientists from the University of Manchester say that the oil could also play a role in helping to prevent skin cancer… Read full article. As the number of omega-3 sources in the market increases, including fish, krill, squid, algae, and plant, suppliers are increasingly using the omega-3 form to differentiate their products. But where does the science currently stand, which questions remain, and is cost a factor?… Read full article. 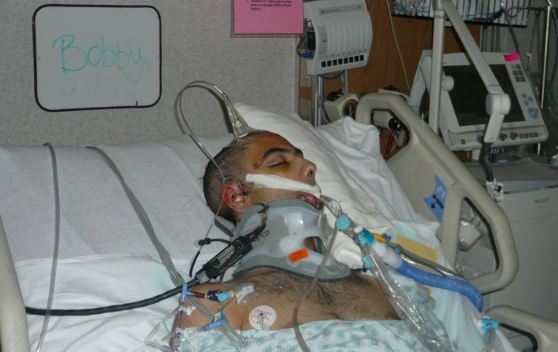 In March 2010, high school student Bobby Ghassemi was in a terrible car accident and airlifted to a nearby hospital. He had experienced severe brain trauma and was considered more dead than alive. (NaturalNews) In March 2010, high school student Bobby Ghassemi was taken out of his crashed vehicle and airlifted to a nearby Virginia hospital more dead than alive with severe brain trauma.